The mushroom cordyceps has been widely used in traditional Chinese medicine to combat the effects of aging. And now research is proving the effectiveness of this natural supplement for conditions like stroke, that are often linked to aging cardiovascular systems. The research shows that this unique mushroom contains an active ingredient identified as cordycepin, which has been shown to improve learning and memory. According to a study published in the European Journal of Pharmacology, researchers found that cordycepin helps improve cognition in animals and may be beneficial in the treatment of stroke. Based on research in the Journal of Medicinal Food, cordyceps acts as a potent antioxidant and even has the ability to improve memory impairment. The antioxidant and healing effects of cordyceps were significantly beneficial in both the prevention and treatment of stroke, according to research published in the medical journal Metobolic Brain Disease. Cordyceps works to prevent and treat stroke primarily by reducing brain-damaging free radicals. 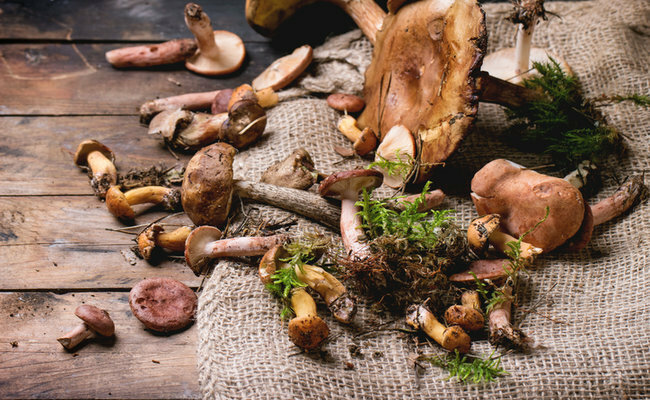 One of the ways the mushroom is able to do this is by boosting your body’s own production of a natural compound called superoxide dismutase (SOD). This specialized protein known as an enzyme is also one of the most potent antioxidants in your body and helps to protect against brain diseases. In addition to boosting SOD production the same research in the European Journal of Pharmacology found that cordycepin lowered the inflammatory compound known as MMP-3 (matrix metalloproteinase-3), which tends to be elevated after the occurrence of stroke. The same study also found that cordyceps demonstrates anticancer activity and may be helpful in the prevention or treatment of brain cancer. Further research will help to determine the effectiveness of cordyceps against brain cancer. In addition to assisting with stroke and brain disease, cordyceps has also been shown to have general memory-enhancing effects, according to a study published in the journal Archives of Pharmacal Research. Cordyceps is also an immune-boosting and energizing medicinal mushroom that has many other therapeutic effects, including helping to prevent cancer and reducing the damaging effects of stress on the body. Many herbalists, myself included, use cordyceps on a regular basis to give the immune system a boost when people are under significant stress or dealing with cancer. Cordyceps supplements come in both powder and capsule forms. Choose a 5:1 extract from organically grown and processed cordyceps mushrooms to ensure sufficient potency to reap the brain-boosting effects. A common therapeutic dose is 400 to 600mg daily. Cordyceps is a good choice for general brain health as well as stroke prevention and healing. Dr. Michelle Schoffro Cook, PhD, DNM is the publisher of the free e-news World’s Healthiest News, president of PureFood BC, and an international best-selling and 20-time published book author whose works include: Boost Your Brain Power in 60 Seconds: The 4-Week Plan for a Sharper Mind, Better Memory, and Healthier Brain.